At Marian Regional Medical Center’s Heart Center, our expert medical professionals understand that when it comes to saving a life, precious seconds count. Thanks to the strong support of the local community, the Sue J. Sword Heart Center has expanded its available services and procedures. 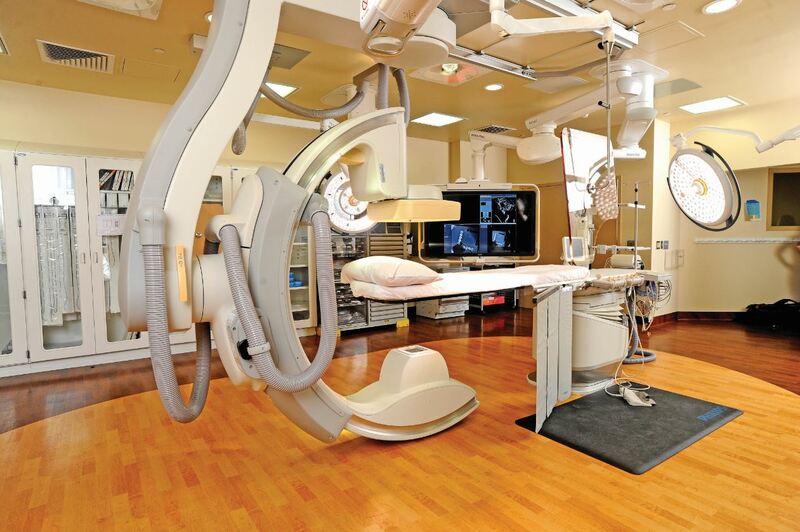 In the majority of hospitals throughout the nation, cardiac operating rooms and cardiac catheterization laboratories are often located in different areas and sometimes even different floors. As such, if medical emergencies arise during surgical interventions, patients have to be transferred from a cardiac catheterization laboratory to a surgical operating room. With the Cardiac Interventional Hybrid Suite established in 2015, it only takes a matter of seconds for physicians and support staff to convert a minimally invasive procedure into a traditional surgical procedure—all without moving the patient. This is because physicians now have immediate access to all equipment and technology needed for any emergency cardiac situation, allowing for greater versatility, improved techniques, and superior patient outcomes. Phase II of the Heart Center Expansion Project was also completed in 2016 with the Electrophysiology Program. 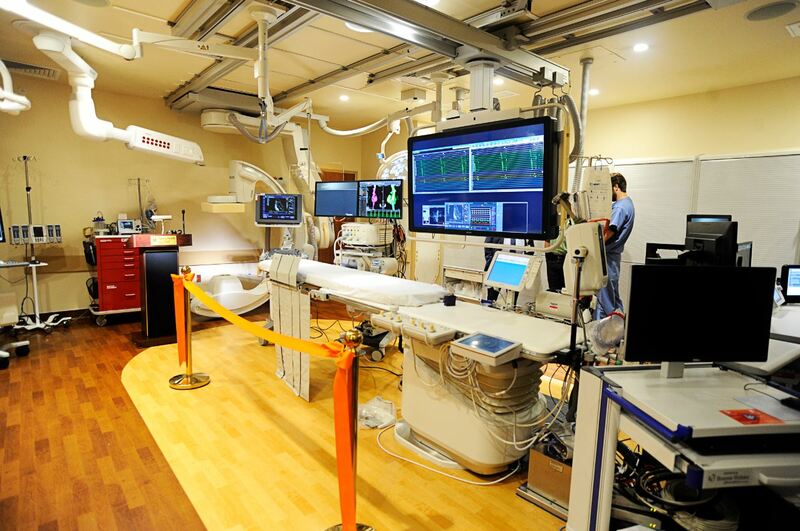 This effort transformed the medical center’s original cardiac catheterization laboratory into a modern facility with sophisticated electrophysiology technology for cardiac rhythm management complete with the addition of Brett Gidney, MD, to Marian Regional Medical Center’s Medical Staff. Dr. Gidney is an experienced cardiac electrophysiologist and cardiologist who specializes in diagnosing and treating irregular heartbeats or arrhythmias. Cardiologists specializing in electrophysiology are electricians of the heart as they are highly experienced in treating patients with heart rhythm disorders. Atrial fibrillation is the most common heart rhythm disorder, affecting more than 4% of the population over age 60. Patients with this dangerous abnormal heart rhythm are at an increased risk of experiencing a potentially disabling or even fatal stroke by nearly 500%. Atrial fibrillation causes the two upper chambers of the heart to quiver instead of beating properly. As a result, blood is not effectively pumped to the body, causing clotting that can travel to the brain or cause an artery blockage leading to a stroke. Through the recent addition of Joel Lardizabal, MD, to Marian Regional Medical Center’s Medical Staff, the Heart Center has begun to further care by going small. Through minimally invasive procedures, Dr. Lardizabal is able to advance care to correct structural heart defects while a patient is sedated, but conscious. Benchmarked against other like hospitals across the nation, the Sue J. Sword Heart Center ranks in the top 10% in many of its quality metrics, according to the American College of Cardiology, and the high caliber of physicians and medical staff will continue to further the level of cardiac care on the Central Coast.